Since its founding in 1968, Special Olympics continues striving “to create a better world by fostering the acceptance and inclusion of all people.” This worldwide organization provides “year-round sports training and athletic competition in a variety of Olympic-type sports for children and adults with intellectual disabilities, giving them continuing opportunities to develop physical fitness, demonstrate courage, experience joy and participate in a sharing of gifts, skills, and friendship with their families, other Special Olympics athletes, and the community.” Over 5 million individuals currently compete in 174 countries worldwide. Closer to home, local athletes and volunteers participate in the Area 4 Virginia Special Olympics, which is centered around the greater Harrisonburg area in the Shenandoah region. The more localized Shenandoah County Special Olympics program, or ShenCo for short, was started in 2016 by Megan & Heath Smith, allowing athletes to stay closer to home and eliminating the difficulties and cost of traveling to participate in Winchester or Harrisonburg. Megan has been participating in Special Olympics since she was in high school and served as Area Coordinator until recently. ShenCo offers many opportunities to be physically active including basketball, soccer, and track and field events. Special Olympics believes that “students of all abilities have the power to positively impact their school communities by promoting social inclusion.” As a result of their efforts to promote this idea among school systems and communities, the Play Unified Movement has been gaining popularity and recognition. This inclusive approach to school athletics allows players with and without disabilities to participate and compete together on behalf of their schools. 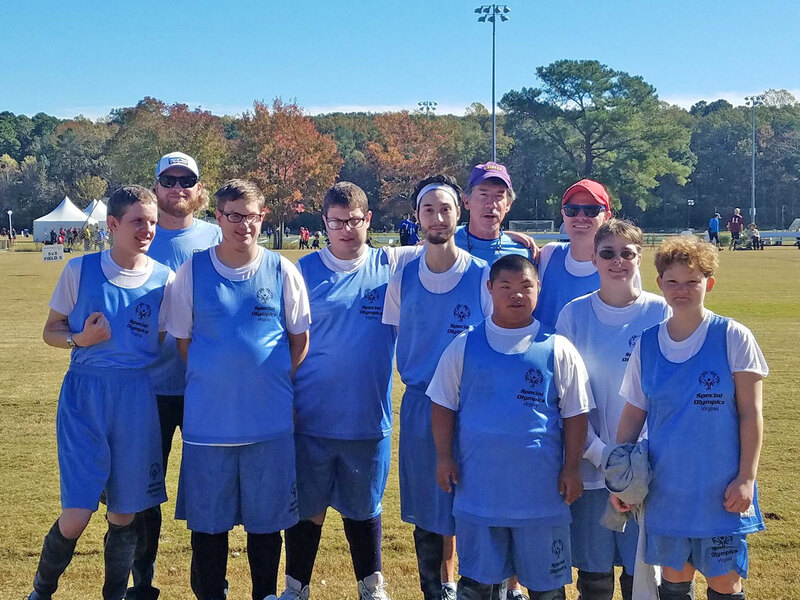 The Virginia High School League recognizes the Unified teams as varsity sports, allowing athletes to earn letters and receive recognition like their non-disabled peers. The ShenCo Special Olympics will be hosting the 4th Annual Unified Basketball Tournament on March 28, 2019 from 5 to 7 pm at Central High School in Woodstock, Virginia. This event serves as a showcase for what Special Olympics does, while providing opportunities for people to become involved through donations and volunteer work. The Special Olympics Healthy Athletes program offers free healthcare and dental services at the state-level Summer Games in Richmond, Virginia. This year the Games will be held on June 7 – 8. Individuals do not have to compete to be able to participate in this program. Since it was created in 1997, Healthy Athletes has been offering free health screenings, exams, education, physical therapy, and dental and vision services worldwide. Teresa Martilik, who works with ShenCo Special Olympics, describes the program as something that “helps individuals with special intellectual disabilities become physically active.” She is proud of the fact that the ShenCo program is “still going strong,” but is always planning for the future. They are hoping to be able to offer new sports options and increase the number of athletes that can participate. There is also an ongoing need for volunteers, whether as a member of the Board or as a volunteer to help with event planning, coaching, or other needs. If interested in becoming a volunteer, please contact the ShenCo Special Olympics directly (shencoSO@gmail.com), or one of the local Board members.